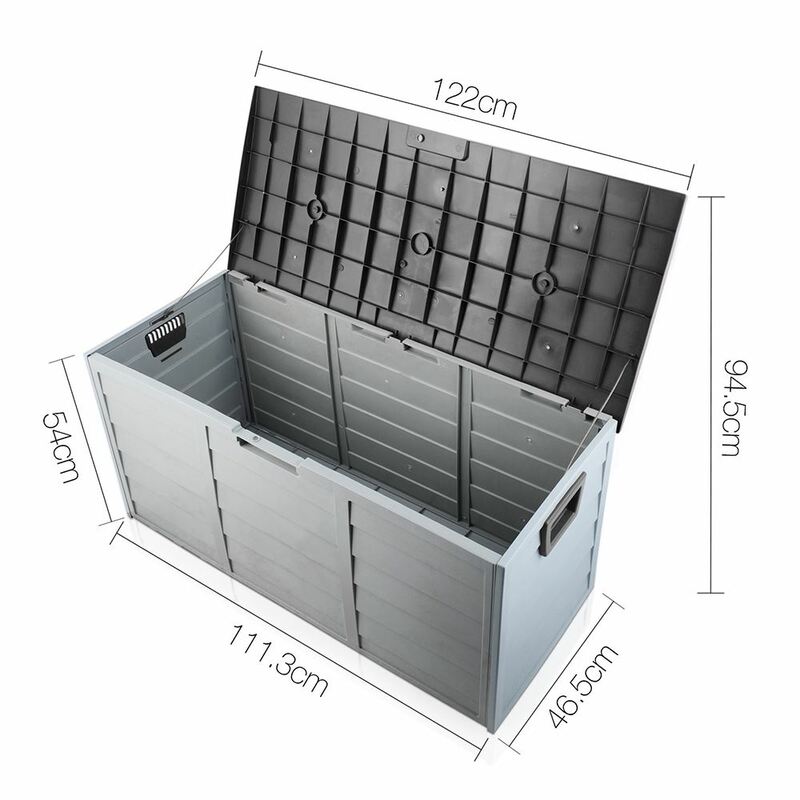 HADIKA Outdoor Storage Box comes in a massive 290 litre capacity that is large enough to store multiple items and keep your garden organized and clutter free. This waterproof storage box is approximately 112cm wide, 46cm deep and 54cm high making it the right size for most outdoor storage needs. HADIKA Outdoor Storage Boxes come equipped with a pad lock hole so they’re easy to lock and ensure the contents are secure. 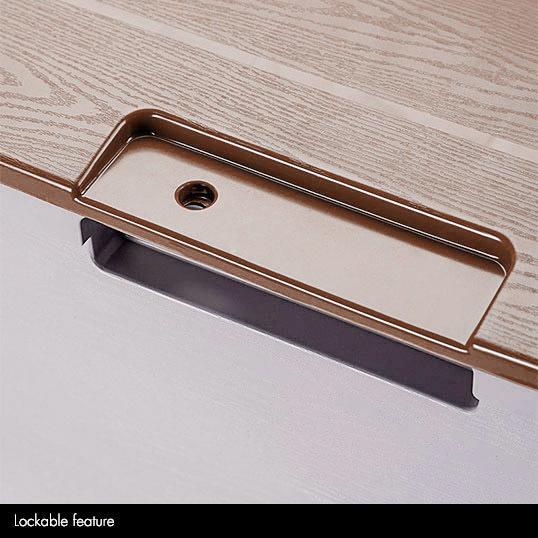 The pad lock holes are located at the lid of the HADIKA Storage box and meet with the front panel making these boxes the perfect option to store important documents or clothes in the shed or garage. HADIKA Outdoor Storage Boxes are equipped with easy grip handles on each side which make it easy to handle the box and move it around when needed. 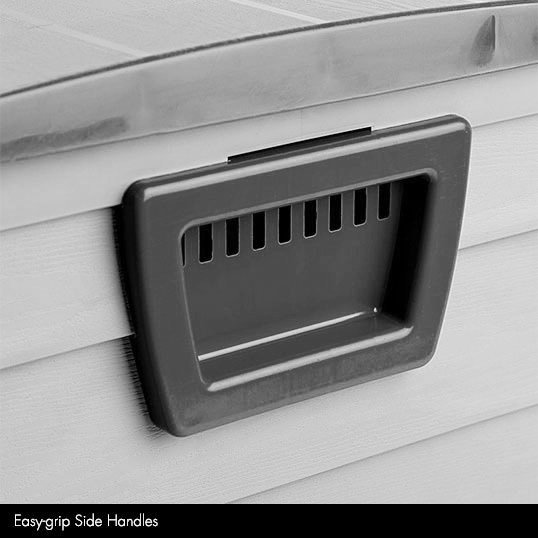 The handles comes with a small vent at the top to ensure air ventilation. The waterproof feature is not affected due to the location of the vents inside the side handles. HADIKA Outdoor Storage Containers come with 2 durable wheels located at one side of the box. These wheels make it super easy to move the box when needed. This makes it super easy to change the contents, clean the box and eliminate the need for heavy lifting. 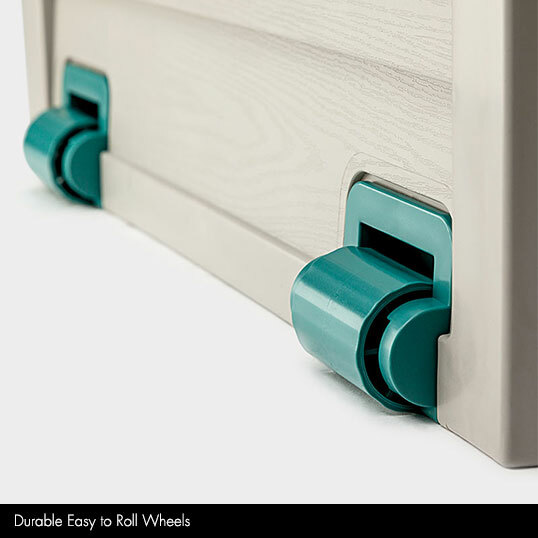 The wheels are also easy to assemble and install.